Thirty years ago, college graduates could expect to work 40 hours a week in office jobs, wear suits to work, and stay with the same company for decades. But the professional landscape has changed: A large survey has found a significant increase in the number of people doing freelance, contract, and other independent work. The McKinsey Global Institute (MGI) published a report of the survey results today. The institute is a nonpartisan, nonprofit organization with a mission to understand the global economy. They sent their survey across the United States and 15 European countries, asking participants how they spent their working hours, when they worked, how they felt about it, and their hopes for the future. More than 8000 people responded. From this sample, the researchers then extrapolated trends for the larger working population in the surveyed countries. The results were somewhat surprising, suggesting that as many as 162 million people in the U.S. and Europe—that is, 20 to 30 percent of the working-age population—do some sort of independent work. These workers are a diverse bunch, as is their work, which could be anything from business consulting to selling jewelry on Etsy. Not all the work was full-time; a full 54 percent of American respondents and 58 percent of Europeans surveyed said their independent work was "supplemental," and they got most of their income from traditional jobs. MGI divided the respondents into four groups based on their relationships to their work: free agents, casual earners, reluctants, and the financially strapped. Free agents are those who have chosen to make a living doing independent work, while casual earners are those who choose to work independently to supplement their regular income. Reluctants are people who rely on independent work but would prefer traditional jobs, and the financially strapped boost their incomes with independent work because they have to. Depending on the nature of their work, they may also enjoy the opportunity to escape the office. 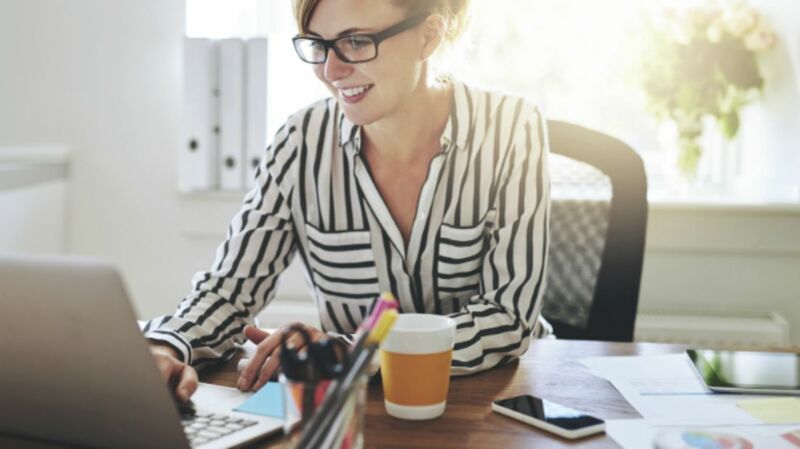 Another recent study published by the National Bureau of Economic Research (NBER) found that employees believed flexible scheduling was far less important than the ability to work remotely. Many workers said they’d be willing to take a pay cut up to 8 percent in exchange for the freedom to work from home. Amanda Pallais is a political economist at Harvard University and a co-author on the NBER study. She and her colleague were surprised to see people's eagerness to stick to a set schedule. "Most workers want to work Monday through Friday, 9 a.m. to 5 p.m.," she said in a press statement. "They don't value flexible scheduling, and they really dislike working evenings and weekends." Still, there are plenty of folks who really like making their own hours. If that sounds like you, the MGI report makes a solid case for why this "gig" lifestyle might be something to consider.